Fifteen years after its creation in the aftermath of the 9/11 terrorist attacks, the Immigration and Customs Enforcement agency has become a kind of Rorschach test for many Americans: Where some see a heroic mission, others see a despotic one. As the wedge of the Trump administration’s “zero tolerance” policy of aggressively rounding up immigrants who entered or remain in the country illegally, the men and women of ICE are among the “brave heroes who enforce our immigration laws,” as President Trump said at an Aug. 20 White House ceremony to honor them and their colleagues at Customs and Border Protection. Alternatively, the 20,000 uniformed ICE employees scattered in 400 offices in the country’s interior (and overseas) are viewed as actors in a horror show of family separations, home invasions and lengthy incarceration of desperate asylum seekers and economic refugees. When a movement to “abolish ICE” gained steam among leftist activists this summer, Republicans in the House considered (but canceled) a plan to force a quick floor vote to embarrass Democrats as being soft on illegal immigration. Straining to oppose a Trump immigration crackdown many view as racist, Democrats remain divided on how to handle an agency that, while performing needed tasks, comes across to many as a the tool of a government that lacks compassion. The fine print of the legislation points to a less dogmatic solution. Rather than “abolish ICE,” it would establish a commission of experts. Agreement, in part, came from a surprising quarter. In late June, 19 of ICE’s key top criminal investigation agents wrote to Homeland Security Secretary Kirstjen Nielsen asking that their division—the Homeland Security Investigations Unit, which is the department’s largest investigative force—be peeled off from ICE’s Enforcement and Removal Operations. 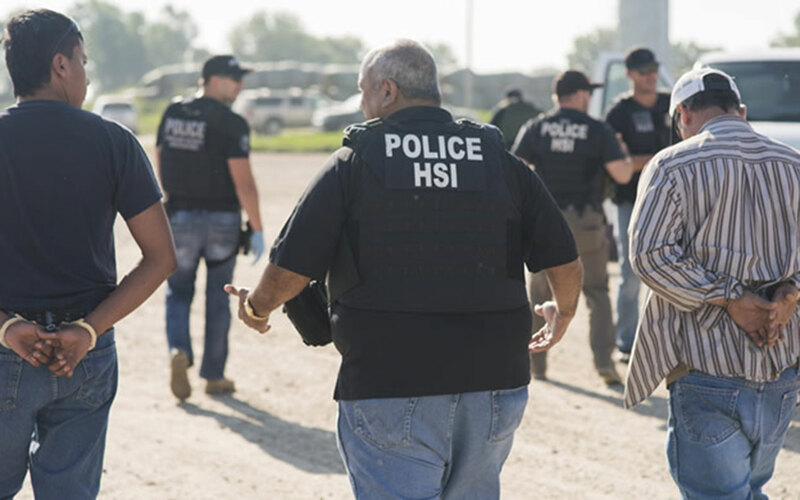 “HSI’s investigations have been perceived as targeting undocumented aliens, instead of the transnational criminal organizations that facilitate cross-border crimes impacting our communities and national security,” the special agents wrote. “The perception of HSI’s investigative independence is unnecessarily impacted by the political nature” of immigration enforcement, which, they added, has prompted many jurisdictions to refuse to work with the investigative arm of the agency. The current political environment, however, does not seem conducive to reworking ICE. When the Trump White House and Justice Department launched the crackdown on illegal immigration in February 2017, a memo from then-DHS Secretary John Kelly was characterized as a plan to “take the shackles off” ICE and Customs and Border Protection. The administration has shown no signs of letting up. But the debate over how to organize it has never stopped. The basic move was to dismantle the Justice Department’s INS, and move functions related to legal immigration (administering benefits) to U.S. Citizenship and Immigration Services, leaving ICE and Customs and Border Protection to focus on enforcing the law and protecting the borders. Trump’s aggressive approach—accompanied by a selective travel ban and nativist rhetoric with emphasis on images of violent gangs—may seem unique. But its roots lie in the government’s response to the 9/11 attacks—which created ICE with a structure in flux. Lessons learned from the U.S. failure to prevent 9/11 included, as noted in the December 2002 House and Senate Intelligence Committees report, a critique of the FBI’s status as the main domestic agency tracking internal threats from foreign nationals. “The FBI was unaware of what information it possessed relevant to internal terrorist threats, unwilling to devote serious time, attention, or resources to basic intelligence analytical work, and too organizationally fragmented and technologically impoverished to fix these shortfalls even had it understood them and really wished to do so,” the lawmakers wrote. The subsequent legislation combining 22 agencies into a Homeland Security Department set up a version of ICE that at first included an array of other bodies. ICE gained the investigative and intelligence parts of the U.S. Customs Service and the criminal investigative, detention and deportation resources of the old INS. It also, for a time, housed the Federal Protective Service and the Federal Air Marshal Service (though those were later transferred to other DHS components—the National Protection and Programs Directorate and the Transportation Security Administration). Agents execute federal search warrants in Nebraska on Aug. 8. According to current acting ICE director Ron Vitello, today’s agency dovetails nicely with sister agencies, particularly in participating in the multi-agency and federal-state Joint Terrorism Task Force. ICE brings “special skill sets” in high-tech investigations of drug cartels and human traffickers, he told a White House panel discussion on Aug. 20. “At the border and globally, we react” to the arrests by Customs and Border Protection and the FBI, he said. And if other agencies that have detained a suspect have trouble making a legal case, ICE can facilitate their removal from the country using due process and visa violations. As the political jockeying and immigration policy stalemate continue, ICE's virtues remain in the eye of the beholder. The Homeland Security Department on Aug. 20 released a statement hailing the public safety agenda of the Enforcement and Removal Operations directorate, which arrested, during fiscal 2017, 127,000 aliens with criminal convictions or pending criminal charges for such counts as assault, illegal weapons, kidnapping and homicide. But news reports a day earlier focused on how ICE agents in San Bernardino, Calif., had detained a man from Mexico who was taking his pregnant wife to the hospital to give birth. That prompted outrage from critics, though ICE said the man was wanted for homicide in Mexico. This summer’s request from agents in ICE’s Homeland Security Investigations to be separated from the more-controversial enforcement unit may not be welcomed by the National Immigration and Customs Enforcement Council, an employee association dominated by enforcement staff. That union endorsed Trump for president and backed the Justice Department’s crackdown on sanctuary cities (though it later expressed disappointment over what it said were insufficient resources and consultation with staff in the field). Most recently, the council has backed legislation protesting officials in cities such as Portland, Oregon, for not protecting ICE facilities from protesters. Theoretically, the civil immigration and criminal investigative messages can delivered by professionals working together inside the same house, Valerio said, and separating them could be expensive. It would require organizing a support apparatus of the functions she once ran, such as finance, information technology and human resources. Also, “there is extraordinary power for public safety in having authority in-house, she added, and “not having to call another agency and say, ‘Please make this a priority.’ ” That’s a civil authority ICE has that the FBI, for example, lacks. Under the Obama top policymakers, Jaddou pointed out, the agency had clearer priorities of focusing on dangerous criminals, while sister agencies such as U.S. Citizenship and Immigration Services had more of a role in overall immigration policy. There’s a good argument 15 years after DHS’s birth that dividing the functions into agencies for the border, the interior and the benefits of immigration, she said, “has produced fragmentation that has already made for less coherent immigration activities.” Dividing ICE up might make coordination even more difficult—witness the need to bring in the Health and Human Services Department to run the new ICE detention facilities. None of that would change, she said, by reorganizing ICE. Top image via Christopher Penler/Shutterstock.com.